It is the first city in the US to have the warnings on its menus. NEW YORK HAS become the first US city to adopt salt warnings on restaurant menus for food containing more than the daily recommended limit, in a bid to fight heart disease. The law applies to chains with more than 15 restaurants across the country and enforces a salt shaker icon next to items that contain 2.3 grams or more of sodium — about a teaspoon’s worth. It also requires chains to post a warning statement advising that high sodium intake can increase the risk of heart disease and stroke — the two biggest killers in America. Chains have 90 days to comply with the new rule, which was passed unanimously by the city health board in September, before $200 fines are imposed from March 1. The sodium law is the latest in a long line of public health measures designed to foster healthier behaviour, including a pioneering ban on smoking that has since been adopted across the world. It comes as the US departments of agriculture and health and human service recommend that Americans reduce their daily sodium intake to less than 2.3 grams of sodium a day. New York authorities say the average adult in the city consumes almost 40 percent more sodium than the recommended limit per day, with black and Hispanic New Yorkers most affected. “Too few understand the link between high sodium intake and hypertension, heart disease, and stroke,” said Mary Bassett, city health commissioner. These icons will help New Yorkers make more informed choices when dining out. Chains account for one-third of the restaurant clientèle in New York, city authorities say. Applebee’s is among those restaurants who have willingly adopted sodium warnings on menus in the city. “We want our guests to have as much information as needed to make informed decisions,” said Zane Tankel, CEO of Apple-Metro, the company that owns Applebee’s restaurants in the city. A study carried out at the University of Minnesota found the mean sodium content in food served by the eight biggest US restaurant chains rose 23 percent between 1998 and 2010. “Restaurants — for those of us who want to limit the sodium in our diet — it becomes a difficult place to do that,” said Sonia Angell, deputy commissioner for prevention and primary care. The vast majority of sodium in our diet doesn’t come from what we’re adding at the table, it doesn’t come from what we add when we’re cooking. It’s coming from processed and packaged foods. But the National Restaurant Association plans to take legal action against what it calls an “overly onerous” regulation as establishments work to comply with federal law demanding calorie data on menus by December 2016. In 2008, New York became the first US city to force chain restaurants to include calorie counts on menus — which will now become federal law from December 1, 2016. The NRA says it wants uniform, nationwide labelling that gives consumers across the country the same nutritional information. “While the board of health thinks they are targeting corporate chains, in reality they are dealing yet another blow to many of New York’s small businesses,” it said in a statement. The NRA and other groups overturned an attempt by the city two years ago to ban large sugary drinks. Other studies also suggest there is a limited impact in labelling menus. A study carried out by researchers at New York University School of Medicine suggested that calorie labelling at fast-food chains did not impact dishes selected between 2008 and 2014. Email “Move over calories - now New York menus will have salt warnings on them”. 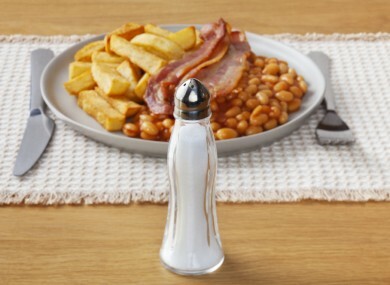 Feedback on “Move over calories - now New York menus will have salt warnings on them”.